It is no surprise that 80% of US and European outsourcing firms prefer India to other outsourcing destinations around the world. If that recent survey doesn’t cut it, you can always get further confirmation by looking at a report by ‘The National Association of Software & Service Companies (NASSCOM) that spells out how Fortune 500 companies are leading in the trend of handing over software development work to Indian firms. This is not to say that there aren’t other outsourcing destinations with a standing IT workforce. Indeed, countries like the Philippines, China, Mexico, and Ireland have established themselves as major giants in the outsourcing business. Not quite as India though. What does India have over these other countries that makes it so popular among overseas local and international enterprises? Why are Indian companies so successful in IT outsourcing businesses? Sure, Indian Software Outsourcing firms have an effective marketing strategy in place, but so do these others. In fact, making your business known to clients is crucial although more often than not, it is not the determining factor. The cost of a developer in India can be negotiated down to a much lower charge than in developed countries. A user on Quora puts the price of developing a database iPhone app at between USD 5,000 and USD 25,000. Developing the same app in the United States is estimated to be somewhere between USD 9,000 and USD 50,000. The cost of developing a standard iPhone app is estimated at somewhere between USD 1,000 and USD 3,000. In the US, the estimate is placed higher at between USD 2,000 and USD 5,000. The trend continues when it comes to developing a game where the cost is estimated at USD 10,000 to USD 50,000 as compared to pricing in the United States where it is estimated at USD 12,000 to USD 250,000. Not so subtle differences in pricing. As inconveniencing as this may seem to the Indian professionals, there’s the factor of currency exchange rates that ensure the service providers profit from their sales. A USD has more value in India than in its original state. Most companies are after massive profits. It makes sense that for them to manage their budgets efficiently, they have to hire the best-priced developers out there to get the job done in the same manner of expertise that they could have. This translates to major savings for the company. Indeed, the price option is one of the major reasons why anybody in any part of the world would want to outsource their work to India. Chances such as this that allow you to save up on up to 60% of your costs don’t necessarily come by easy in today’s economy. Few countries come close to India’s pool of tremendously skilled and talented human resource. Although this is an attribute to its large population, there’s no denying the quality education that its government supplies to its citizens. Although not a very warm culture, citizens living in India are led to believe, from a very young age that a good education is the only way to acquire better living standards. According to an article published by the BBC in 2014, in India, one out of every three graduates under 30 years of age is unemployed. The labor ministry report was released 5 years ago. The number of graduates has significantly increased since then. Each year, millions of graduates are presented to the market ready to take on the world of IT. A testament to the large pool of untapped talent. As a result, specialists have been forced to look beyond the border for jobs. You can only imagine the large number of knowledgeable employees that an outsourcing company has posted in each of its domains, therefore, enhancing efficiency. Having the large population that it does, India also becomes the country with the second largest English speaking population in the world after the United States (thanks to the British invasion). A good grasp of the English language allows the outsourced workforce to effectively communicate with international clients. This, in turn, creates strong business relationships that last. Trust, a key factor in business, is easily built between two people that communicate in the same language. One should not be led to believe that it is just the numbers that count (no pun intended) when it comes to the IT outsourcing advantages that India has. Some may argue that the quality of talent India provides is an even greater strength than the numbers they possess. 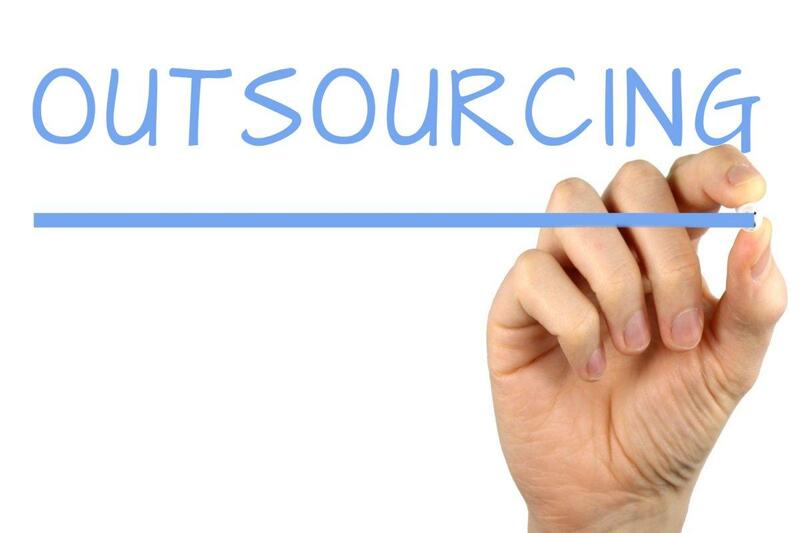 Indian outsourcing firms have been consistent in providing high-quality services. To echo was earlier brought to light, India produces millions of graduates each year. Hence the quality of work is exceptional as most of those who offer their services are professionals in their practicing fields. India regards IT as one of its top industries. The Indian government has thus put in place policies to support the IT industry. It has since the early nineties. Time has given way for IT outsourcing businesses to grow in outreach and effectiveness. The government has provided benefits by enacting the Information Technology Act. The laws apply to every part of India. The IT Act provides a legal framework through which electronic governance is made possible. It gives recognition to digital signatures and electronic records. This supports the IT sector a lot through barring cybercrime, recognizing electronic contracts and supporting of e-filing of documents. Software companies have had a reason to smile since the Government established ‘Specialized Economic Zones’ that made them subject to certain tax subsidies. These tax breaks have proved encouraging to upcoming and standing IT outsourcing businesses. India’s location and time zone make it possible for specialists to deliver for most companies earlier than expected. Differences in the time zone also allow for services that are offered on a 24/7 basis to be delivered much easier. These include services such as helpdesk and customer support which are crucial to all companies. The difference in time zones leads to greater efficiency as the company’s work is attended to all around the clock, be it by the outsourcing firm or by the company itself. In recent times, India has made great efforts to provide modern day state of the art Telecommunication technology. Clients do not have to worry about losing communication with their outsourced talent as they are provided with efficient and reliable communication channels for uninterrupted conversations. On closing thoughts, economies from Eastern European countries and Asia continue to closely study the success surrounding Indian IT offshoring businesses in a bid to emulate them. If one were to point out the reasons behind this success, we would broadly divide them into the above six points including- lucrative pricing, a rising middle class, provision of quality services, investment-friendly policies, a favorable time zone, and an economy-driving infrastructure.